Print the Whole 30 Cajun Chicken & Shrimp recipe here! Print the Paleo Pumpkin Dessert recipes here! Do you know what I love? My Crock Pot. I know I've mentioned this before too. The funny thing is my mom bought me my first one about 8+ years ago and at that time I was adamant that I didn't need one nor would I ever use it. Fast forward to circa 2012 and I discovered that it's the easiest way to cook! I found that cooking in my Crock-Pot became my Sunday dinner goal. Personally, I find it heart warming to come in and out of my place on Sunday in between church, visiting family, or other errands to the aroma of what's cooking all day long. 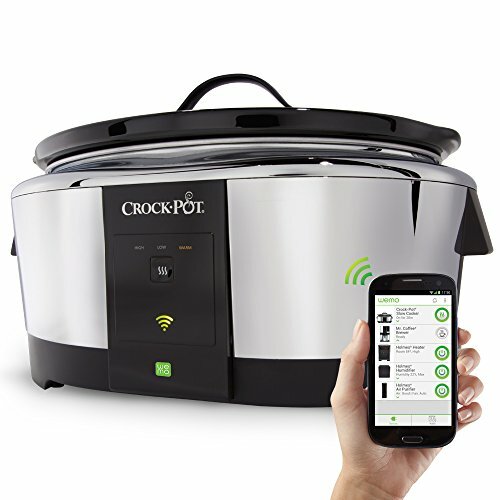 Thankfully now, I also have the Wemo Crock Pot as well as the regular one. The Wemo is great because you can start it remotely from an app on your phone, adjust the cook time and temperature if needed, or stop it altogether. Downsides would be the Crock Pot may turn off if your Wi-Fi cuts out, so I just check the app periodically to see it's progress. It's love I tell you. Within 10 minutes time I had everything chopped and placed into the Crock Pot, left my place, and started it from my phone an hour later to cook for 8 hours. Genius. The dessert menu (Paleo friendly): crust-less pumpkin pie, and banana pumpkin ice cream. For the Paleo pumpkin "ice cream"
These are listed in order of how I prepared them so you can also see how I accomplish all of these things so quickly. Time management + multi-tasking = a full spread dinner menu. Whole 30 Crock Pot Cajun Chicken and Shrimp: Put all of the ingredients into the Crock-Pot with the chicken thighs at the bottom, excluding the last 4 ingredients. Cook on low 8-10 hours or high 4-5 hours. In last hour of cooking, add the shrimp, hot sauce, and lemon juice. Coconut Flour Bread: Mix 6 organic eggs (room temperature) with 2 tbsp Arrowroot powder, 3/4 cup coconut flour, 1 tsp baking powder, 1/2 tsp sea salt, and 1/2 cup coconut oil. Pour into a greased loaf dish and bake at 350* F for 35-40 minutes. EASY! Riced Cauliflower: Wash your cauliflower and cut off the florets. Place the florets into a food processor and pulse it on the chop setting until you get a rice like texture. Wait until the meal is finished cooking to saute your riced cauliflower or it will get soggy. Cauliflower naturally has a lot of water in it so you do not need to add oil if sauteing in Copper Chef or a nonstick pan. You can saute with a little bit of olive oil or coconut oil if you do not have a non-stick pan. Paleo Pumpkin "Ice Cream": Puree two frozen bananas in the food processor, added 1/2 can of pumpkin puree, pumpkin spice and cinnamon (to your taste preference). Freeze for at least two hours though it may take longer to freeze all the way through. Paleo Crustless Pumpkin Pie: Preheat oven to 350* F. Mix together 1 15oz. can pumpkin puree (pure pumpkin, not pumpkin pie filling), 3 large, organic eggs, 1 cup unsweetened full fat coconut milk, 1/3 cup honey, 1 tbsp cinnamon, 2 tbsp coconut flour, 1 tbsp vanilla 1tsp using a hand mixer. Use coconut oil to grease the pie pan. Bake the pie for about 75 minutes at 350* F. Make sure to watch the pie as all ovens vary. Finally, as an honorable mention for my creativity with using what I have on hand, I did attempt** to whip up a coconut milk whipping cream. It was a fail. You can't make whipped coconut milk successfully with lite coconut milk. At least I couldn't and that's also what I read online, but I figured it was worth a shot anyway. So I whipped up egg whites to make a meringue and broiled it for color, then drizzled honey on it. It was pretty, but a plain meringue doesn't have much flavor. I've used the recipe for Crock Pot Cajun Chicken and Shrimp by Miss Diggy for four years now and have never added the sugar it calls for. Every single time I've made it it has been a HUGE hit. My dinner patrons have always raved about it. The best part is that it requires so little prep time! Riced cauliflower is an excellent, healthy alternative to regular rice and you can sautee it with ZERO oil in a copper pan. #Winning Cauliflower naturally has a lot of water in it so it was easy for it to soften up to a rice-like texture as it heated up. 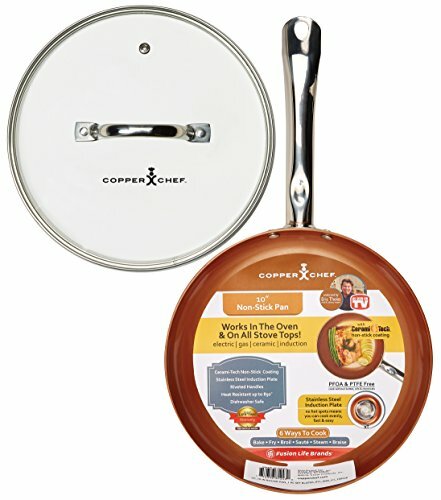 The infomercial for the Copper Chef pan DID NOT lie. I've prepared eggs and meats in this thing too. Love it. *Edited & revamped from my original post October 2016.